(AFP) — Islamic State group chief Abu Bakr al-Baghdadi is reported to have abandoned Mosul, leaving local commanders behind to lead the battle against Iraqi forces advancing in the city. With Iraqi troops making steady progress in their assault to retake Mosul from the jihadists, a US defence official said Baghdadi had fled to avoid being trapped inside. It was the latest sign that IS is feeling the pressure from twin US-backed offensives that have seen it lose much of the territory it once controlled in Iraq and Syria. Speaking to reporters in Washington, the defence official said Baghdadi had left Mosul before Iraqi forces seized control of a key road at the beginning of this month, isolating the jihadists in the city. 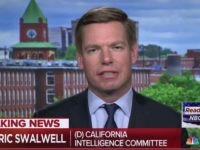 “He was in Mosul at some point before the offensive…. He left before we isolated Mosul and Tal Afar,” a town to the west, the official said. 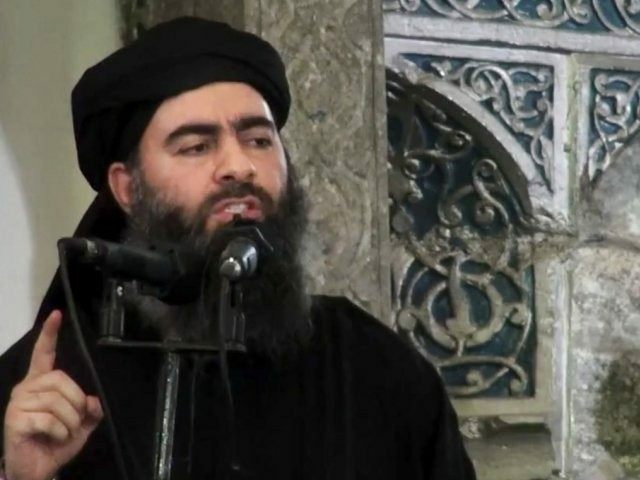 Baghdadi, who declared IS’s cross-border “caliphate” at a Mosul mosque in 2014, in an audio message in November urged supporters to make a stand in the city rather than “retreating in shame”. Iraq launched the offensive to retake Mosul — which involves tens of thousands of soldiers, police and allied militia fighters — in October. After recapturing its eastern side, the forces set their sights on the city’s smaller but more densely populated west. In recent days Iraqi forces have retaken a series of neighbourhoods in west Mosul as well as the provincial government headquarters and a museum where IS militants filmed themselves destroying priceless artefacts. The military said Wednesday they had also taken the infamous Badush prison northwest of Mosul where IS reportedly executed hundreds of people and held captured Yazidi women. On Thursday Iraqi forces were “combing the city centre area to defuse (bombs in) homes and shops and buildings,” Lieutenant Colonel Abdulamir al-Mohammedawi of Iraq’s elite Rapid Response Division told AFP. Forces were also “searching for snipers in the city centre,” Mohammedawi said. The area is located on the edge of Mosul’s Old City, a warren of narrow streets and closely spaced houses that could see some of the toughest fighting of the battle. “Currently there is no order from the operations command to advance toward the Old City. We will advance when this order is issued,” Mohammedawi said. Those who did manage to escape the city said the jihadists were growing increasingly desperate. Abdulrazzaq Ahmed, a 25-year-old civil servant, was seized by jihadist fighters as they retreated from the neighbourhood of Al-Mansur. “We were used as human shields” said Ahmed, who managed to escape along with hundreds of other civilians to Iraqi police waiting outside the city. Rayan Mohammed, a frail 18-year-old who was once given 60 lashes for missing prayers, said the jihadists were scrambling in the face of the Iraqi offensive. “They ran away like chickens,” he said. West Mosul is the most heavily populated area under IS control and along with Raqa in Syria the last major urban centres it holds. In Syria, a US-backed alliance of Kurdish and Arab fighters known as the Syrian Democratic Forces (SDF) has been advancing on Raqa. Earlier this week its forces reached the Euphrates River, cutting the main road to the partly IS-held city of Deir Ezzor downstream. A US official said Wednesday that a Marine Corps artillery battery had been sent into Syria to support the battle for Raqa — joining some 500 American special operations fighters who have been training and assisting the SDF. The United States has been leading a coalition since mid-2014 carrying out air strikes against the jihadists in both Syria and Iraq. Elsewhere in Syria, Turkish troops and their rebel allies have pushed south from the Turkish border and driven IS out of the northern town of Al-Bab. Russian-backed government troops have meanwhile swept eastwards from Syria’s second city Aleppo and seized a swathe of countryside from the jihadists. The US defence official said IS was now looking beyond the seemingly inevitable losses of Mosul and Raqa. “I don’t think they have given up on their vision of their caliphate yet,” the official said. About 15,000 IS fighters remain in Iraq and Syria, including some 2,500 in Mosul and Tal Afar and as many as 4,000 still in Raqa, the official said.